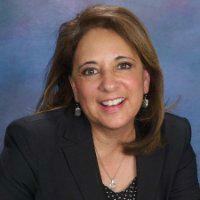 DALLAS, TX--(Marketwired - May 14, 2014) - ECG Management Consultants, Inc., the nation's premier healthcare management consulting firm, welcomes Maria Pouwels as a senior manager. Maria's background in hospital and physician alignment, regulatory compliance, physician recruitment, and contract negotiations enhances ECG's capabilities for advising senior executives and physician leadership on a broad range of operational and financial initiatives. Maria most recently assisted corporate executives and physician leadership in the implementation of their physician employment strategy. She has also served as vice president of physician operations at IASIS Healthcare and senior director of physician practices at Tenet Healthcare Corporation. Commenting on her hire, Josh Halverson, principal with ECG and head of the Dallas office, states, "Maria brings a wealth of expertise that our clients require and value. Her experience within both for-profit and not-for-profit physician organizations offers ECG's clients a unique set of skills and persp﻿ective. I am excited for Maria to join our team." "I'm excited to join a firm with such strong expertise, dedicated exclusively to healthcare systems and large physician groups," states Maria. "With today's evolving healthcare landscape, it's crucial for consulting firms to stay on the forefront of the industry and offer value-added services. ECG's portfolio of physician integration services, value-based reimbursement models, and physician compensation and incentive model work attracted me to the firm." Maria received a bachelor of business administration degree with a concentration in accounting from New Mexico State University. She also has an active Texas Certified Public Accountancy license and is a member of the American College of Healthcare Executives. ECG is a strategic consulting firm that is leading healthcare forward, using the knowledge and expertise built over the course of four decades to help clients see clearly where healthcare is going and to navigate toward success. We work as trusted, professional partners with hospitals, health systems, medical groups, and academic medical centers across the country. We thrive on delivering smart counsel and pragmatic solutions to the critical challenges that will revolutionize the healthcare system. Client success is our primary objective. ECG's national presence includes offices in Boston, Dallas, San Diego, San Francisco, Seattle, St. Louis, and Washington, D.C.
Maria Pouwels, Senior Manager, ECG Management Consultants, Inc.